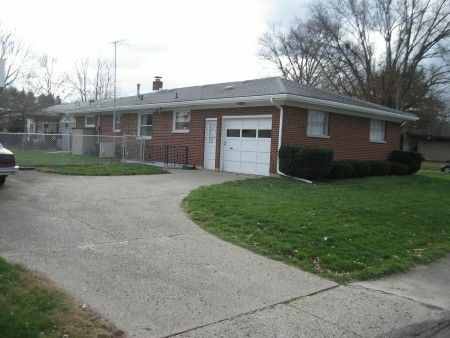 3 Bedroom Brick Ranch $50,000 Min. Bid! One owner house w/one car attached concrete floor garage w/workspace, overhead door opener and basketball court. Home has replacement windows and marble window sills. The ranch is designed w/a kitchen/dining room combo and has built-in oven & cooktop, stainless steel sink w/garbage disposal, ceiling fan, top & bottom wood cabinetry and coat closet. Living room has large picture window with foyer & coat closet; 3 bedrooms w/closets-one w/double closet; hall linen closet w/clothes drop; full bath w/shower over tub. The basement is equipped w/shower stall, inside/outside access, block foundation, leased hot water tank, concrete floor, gas furnace, central air conditioning, utility area w/large double tub utility sink, built-in closets and workshop. Real Estate Terms: $50,000 Minimum Bid; $5,000 down in cash or check at time of sale w/balance & possession at closing on/before May 29, 2012; Joseph E. Motes, Atty. 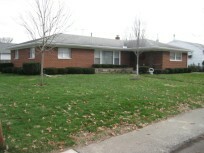 740.774.9421; offered free & clear prior to closing; sold as-is; no buyer contingencies exist. Taxes will be prorated to closing date. All information is to be utilized as a guide. Taxes & Legal: Ross Co. Auditor indicates Annual Tax: $1,518.62 w/ $384.34 Homestead Reduction. Parcel No. 305214038000.